A satisfactory day for West Ilsley as Thursday afternoon saw ZAIN CITY break his maiden at Nottingham whilst CERTAIN LAD underlined his potential by maintaining is 100% record at Haydock Park. First up it was Assad Al Banwan's ZAIN CITY as the three year old son of Lope De Vega recorded his first career victory at the fourth time of asking under Silvestre de Sousa. It was a facile success as SDS sat motionless throughout the Class 5 extended mile maiden and the three year old obliged by routing the opposition, running out the winner by over two lengths, a success that could have been far more convincing had any questions been asked. Mick was pleased that an improving trend has continued for a very likeable individual. "This is a lovely type - he'd shown plenty in this three previous runs and was rightly a warm favourite and he proved he was a cut above the field on Thursday. "He'll move into handicap company now and having only made his debut in April I expect him to keep on improving as he finds his feet because mentally he's unflappable with a great way about him." Up the road at Haydock, Chris Hirst's CERTAIN LAD made it two wins from two and held off a hot newcomer into the bargain under Ben Curtis when taking the seven furlong Class 4 novice stakes in a thrilling contest. After an easy win on debut at Redcar last month, the son of Clodovil coped with his three pound penalty to fend off Pablo Escobar in a driving finish to further Mick's belief that he's a juvenile with a bright future. "He's shown us everything now - not only that he's talented but also that he can fight it out and he's obviously accounted for a colt that Mark Johnston thinks plenty of (Pablo Escobar). "We were considering running him at Ascot but there's little for him now because he certainly needs seven and he doesn't qualify for the Chesham. "Therefore I'd say his longer term aims will be the Railway Stakes at the Curragh, with the Superlative at Newmarket and the Vintage at Goodwood also on the radar. There may be a Listed contest in the mix as well because he needs to step up in class now. "Wherever we end up going he'll give Chris and his team plenty of sport this year because he's got bags of talent and is the type to fulfil his potential, whatever that is." It's always great to see a horse come back again and again to the track, always try his best and enjoy success through sheer willingness. In the closer at Lingfield last night, Peter Taplin's FITZWILLY recorded his seventh win as the eight year old son of Sixties Icon took the Class 5 extended two mile handicap under David Egan in convincing fashion. FITZWILLY is a lovable, consistent type who usually comes good once the handicapper relents and last night he was prominent throughout and positively romped home by five clear lengths ahead of Galileo's Spear to leave Mick delighted but slightly fearful of the consequences. "Chuffed for the horse and chuffed for Peter who gets a lot out of enjoyment out of the old boy. He's won off 62 there which is four pounds less than his last win in August but he never seems to give up this lad. "He's been placed seven times in fourteen runs since winning and he only had mini breaks in November and April because he's a racehorse. He's tough, competitive, sound and enthusiastic. That's a great set of attributes but after winning like he did he may need all of them once the handicapper reassesses him." 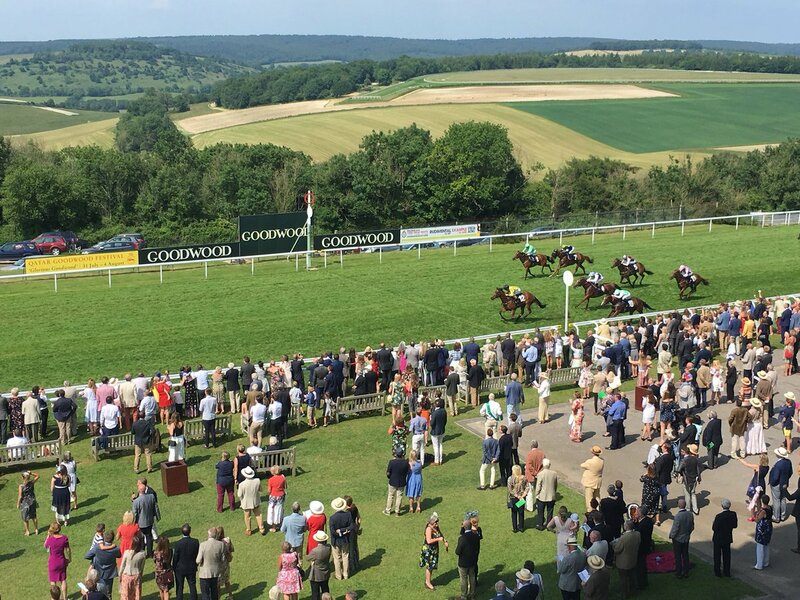 A third winner in three years in Goodwood's vuluable juvenile seller after Billy's Boots (2016) and Milton Road (2017) saw Mick's homebred filly SOLESMES take the £10k prize under David Egan on Sunday afternoon. 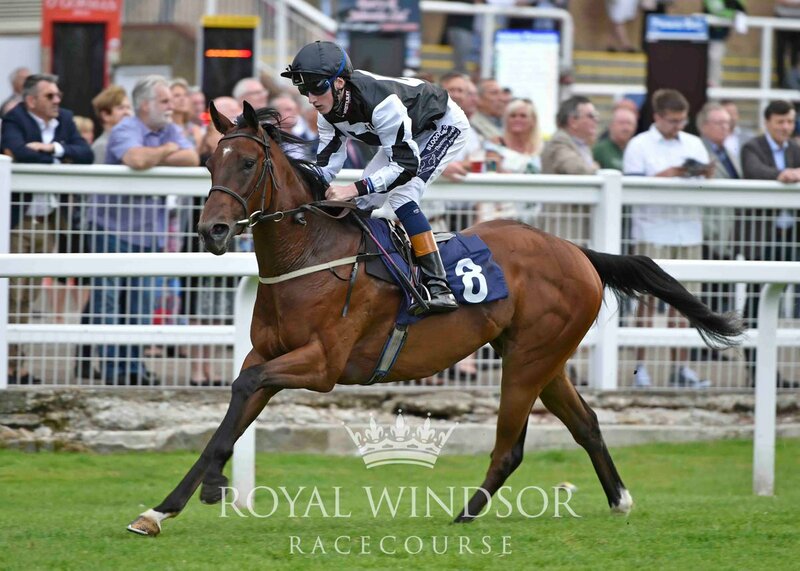 After decent efforts in maiden company at both Windsor and Beverley, SOLESMES became first season sire Gregorian's fourth individual winner of 2018 in fine style, benefitting from the strong pace on the stands rail to assert in the closing stages and run out a length and three quarters winner for a delighted Boss. "That was a convincing performance and she's another first foal winner from Norman Court Stud who has now got her dam Bridie Ffrench on a roll. She was a decent filly in her own right and won a couple for us and she's a half sister to a Listed winner Cruck Realta. "David is riding very well at the moment and got the job done with little fuss and SOLESMES will go on from that. She came back to us as well and that's great because she's capable of going on again in nursery company and has plenty of scope to improve from here on in." 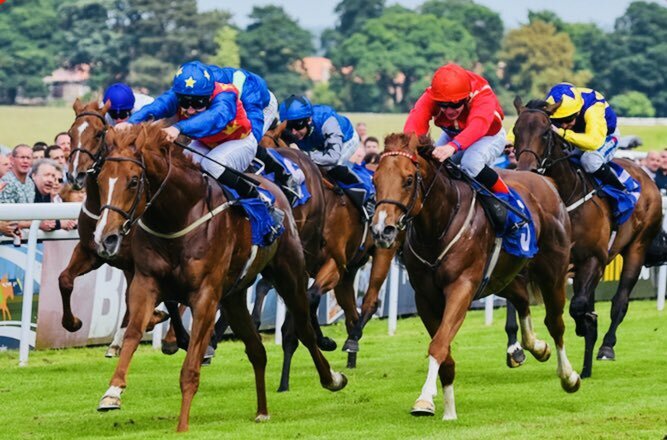 Three winners and a real sense that there is plenty more to come from this trio as MAKSAB, JUNGLE INTHEBUNGLE and HATS OFF TO LARRY recorded an across the card treble at Beverley and Newmarket yesterday afternoon. 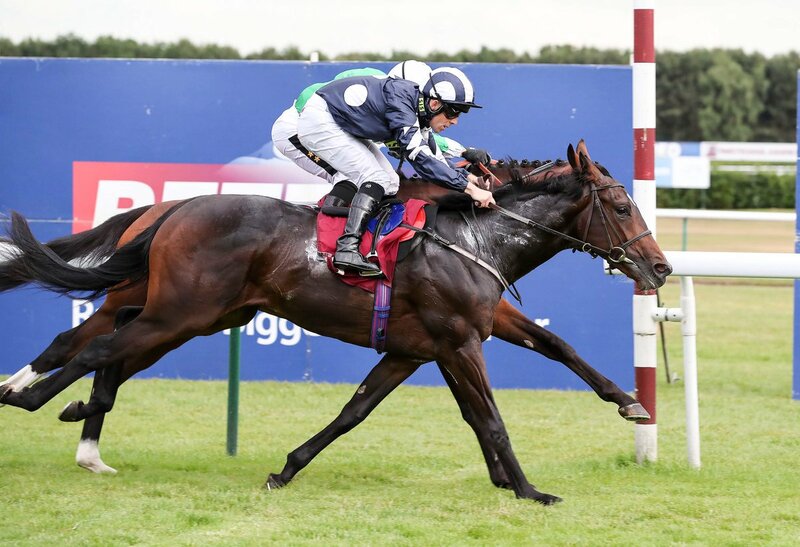 Hot on the heels of ADORABLE's Listed race success last week, Mohammed Al-Qatami & Khalid Al-Mudhaf's MAKSAB took a typically strong renewal of the Class 2 seven furlong handicap for three year olds at Newmarket under a forceful and well delivered ride from David Egan. Although this was only MAKSAB's third career victory, he's always been a solid competitor but having always had a rating in the mid 80's since his juvenile maiden victory in 2017, he's clearly always been on the red line in terms of handicap company. Indeed, his second career success came on his handicap debut on his fifth career start and taking in to account that yesterday was his eleventh run, it's clear that he's had to work his way back to winning ways and with Egan's 3lb claim on his side yesterday he defeated a field of high quality in fine style on the July Course. He prevailed by a head to get the better of Yafta (100), the pair of them pulling clear of the rest in a protracted battle as they came up the hill and although there was an enquiry as the son of Makfi edged right in the closing stages, there was always a suspicion that MAKSAB held sway throughout and he was confirmed the winner to the delight of the Boss. "That was a great ride and I'm delighted for the horse who kept finding and he deserved it. It was a valuable prize and he's a colt who was always threatening to do something like that. He's not had much go his way in terms of his rating but he's never shirked the challenges he's faced and will continue to pay his way." 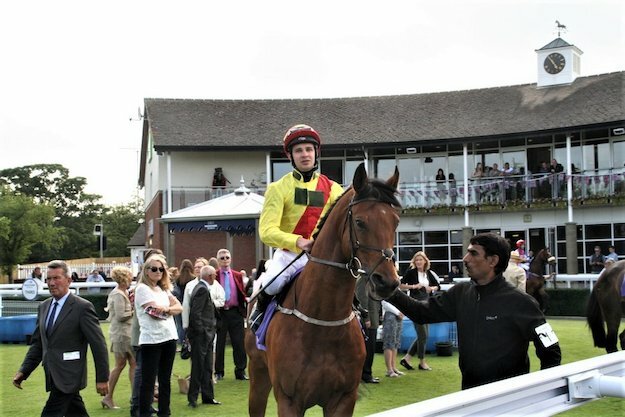 Our double at Beverley yesterday began with JUNGLE INTHE BUNGLE's victory under Charlie Bishop in the Brian Yeardley Two Year Old Trophy Conditions Stakes as the son of Bungle Inthejungle repeated the trick of his father who took this race for West Ilsley back in 2012. This was JUNGLE INTHEBUNGLE's turf debut, having won on his racecourse bow on Lingfield's all-weather at the start of April before finishing runner up under a penalty a fortnight later at Kempton. He was given time to get over those early exertions and Mick always had this race in mind, with all things going our way once he was drawn in the all important Stall 1. From there, everything went to plan as he travelled well throughout behind a furious pace set by Victory Command amongst others. The race began to develop from halfway and JUNGLE INTHEBUNGLE cruised into contention two furlongs from home to hold off Tin Hat in the closing stages and win by half a length. This is traditionally always a strong juvenile sprint and with Theresa Burns's homebred clearly on the up, Mick sees no reason why Royal Ascot shouldn't be on the agenda. "JUNGLE INTHEBUNGLE is all speed and we'll have to look at either the Windsor Castle or the Norfolk now, probably the Windsor Castle as, being on the Saturday, he'll have a little more of a break. "He's got all the hallmarks of his dad and indeed it seems plenty of Bungle's other progeny do too as he had another two more winners yesterday, one of them gaining black type so he's clearly the standout freshman sire of 2018." Speaking of sires, our obligatory Sixties Icon winner came in the form of HATS OFF TO LARRY who carried William Harrison-Allan's colours to victory in the Class 5 extended mile contest with Charlie Bishop up yet again. The path to the winner's enclose has been a long one for HATS OFF TO LARRY who whilst not short of ability, has been slow to grow between his ears, but the penny has certainly dropped and there was no messing about yesterday. HATS OFF TO LARRY was placed on four occasions in his eight previous starts and having eased in the weights (now down to 70 from a high of 76 at the start of the year) he grabbed his chance yesterday to the delight of the Boss. "He always showed ability and wasn't out of the top four in his first season at the track as a three year old. We had him gelded over the winter and although he is out of a Norse Dancer mare with plenty of stamina on paper, he's not short of speed which is why we've dropped him back in trip. 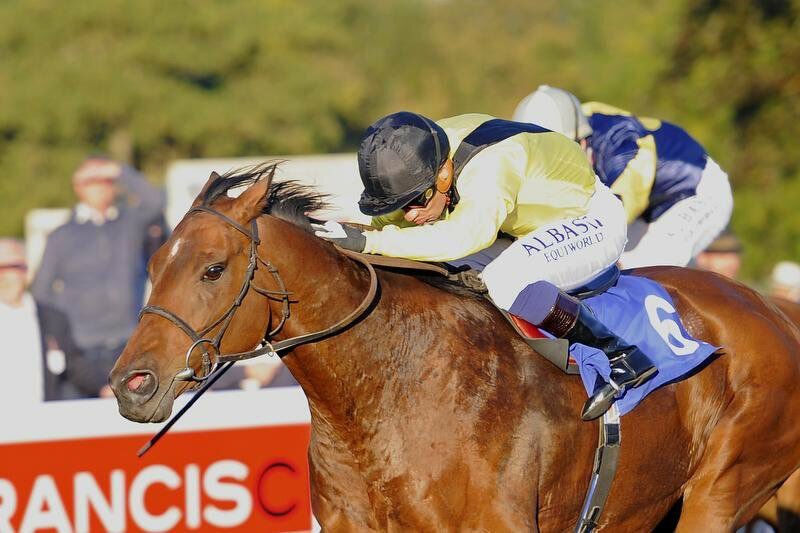 "He did that very nicely and we'll have a look at an entry he has at Thirsk on Tuesday now." A very pleasing week with four winners in the form of juveniles GOSPEL and PACHLOULI whilst among the three year olds, CHARMING GUEST continues to make up for lost time and ADORABLE stepped into Listed company to underline her credentials as a developing filly of flair and real grit in France yesterday afternoon. 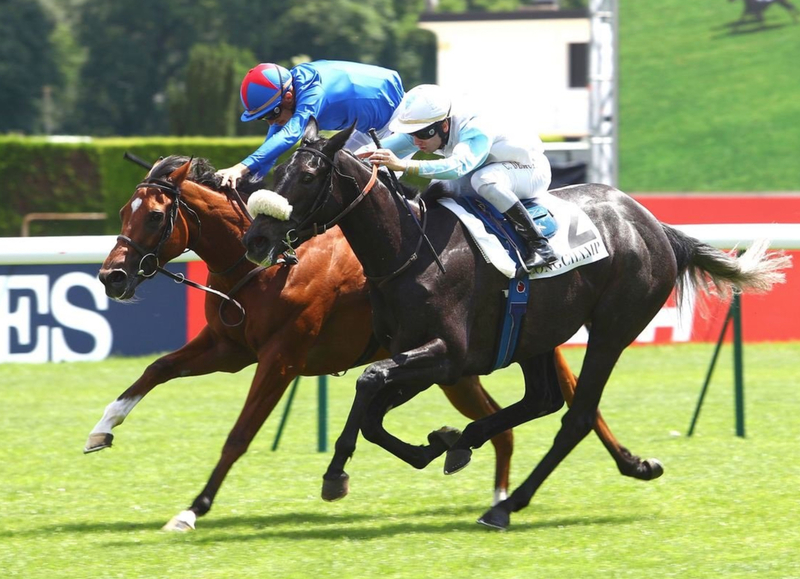 We'll start with the real headline therefore as Mohammed Al-Qatami & Khalid Al-Mudhaf's ADORABLE made it two wins from three career starts under Christophe Soumillon in the one mile Prix Volterra at Longchamp. 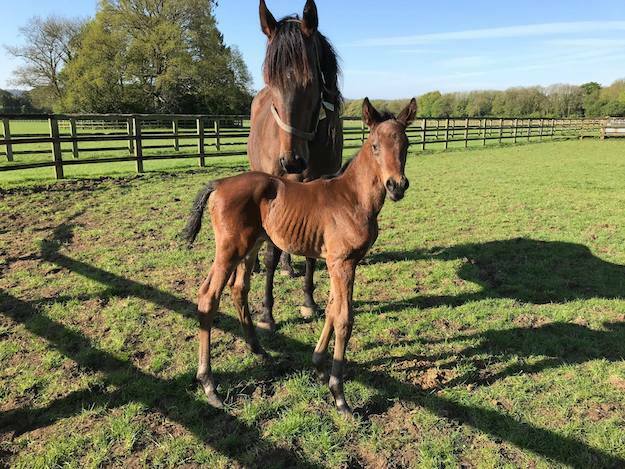 Unraced as a two year old, ADORABLE made a winning debut at Newbury at the end of April and followed that up with a spirited third at Nottingham under a penalty three weeks later. Yesterday she took the trip across the Channel to see if she could support Mick's long held belief that she is a filly with a bright future and the very nature of her short head victory over Style Presa made Mick a very happy man. "Great stuff and what a thrilling finish. She won it right on the nod and showed plenty of guts as the pair of them battled it out. It could easily have gone the other way but Christophe gave her every chance despite losing his reigns in the closing stages and she's the sort of filly who I'd expect to flourish from now on. "I'll speak to Mohammed & Khalid who deserve a lot of credit for the stock they source and campaign with us and it's great to think they have another smart type on their hands." On Wednesday, Mrs M.V Magnier, Mrs J Magnier & Mrs P Shanahan's GOSPEL made a winning debut under Charlie Bishop on soft ground at Nottingham. If I were a brighter individual, I'd have come up with a clever line regarding a Bishop riding GOSPEL for a one time Saint but I shan't bother and simply say that this was a very promising debut from an individual who has plenty of size and the sort of scope that should see the daughter of Holy Roman Emperor reach her promised land somewhere down the line. A five furlong maiden in soft ground at Nottingham on a Wednesday afternoon may be a long way from heaven but this was a divine start for GOSPEL, an individual that will certainly get further in time and although she only came into contention late on after struggling in the early stages, she asserted well as the seas parted close home to win by a neck and leave Mick with something to ponder going forward. "This is a smashing filly who is by no means a five furlong horse. She came to us from the breeze ups so she was clearly well prepared and Monday was a case of getting her going to see where we were with her. "She's done plenty to prove she has a bright future at home and settled in very well so it made sense to send her to the races and Charlie gave her a patient ride and just coaxed her into contention as those in front tired in the closing stages. "She has plenty of stamina in her pedigree so to have done that on debut over five was very pleasing and we'll have a chat with her owners to see how ambitious we want to be in the coming weeks. 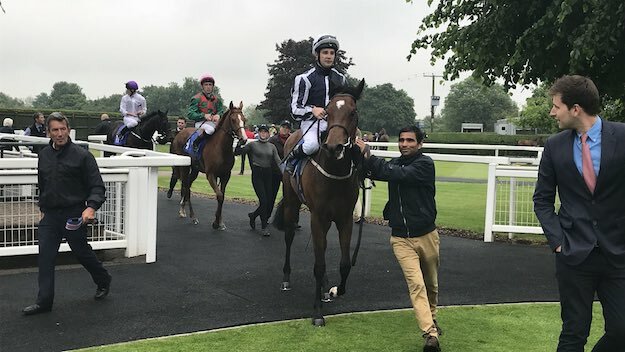 A week without a Sixties Icon winner wouldn't seem right and on Thursday, the Boss's homebred filly PACHLOULI put an educational but forgetful Goodwood debut behind her with a convincing performance at Lingfield under George Downing in the six furlong median auction stakes. 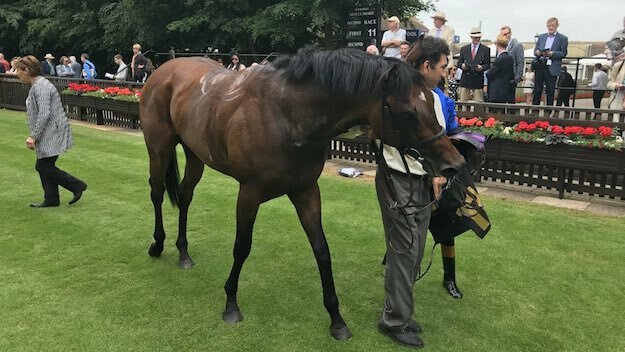 At Goodwood, PACHLOULI fell out of the stalls and raced in isolation throughout in rear and despite finishing strongly it was merely a matter of writing it off and looking forward. Mick was far from disappointed that day and was keen to give her another spin only five days later. "These things can happen to two year olds and there was no harm done at Goodwood, you just knew she'd be far more switched on for the experience. "She popped out smartly on Thursday, George tracked the leaders and went after her from halfway. She probably got there a little too soon because PACHLOULI is a real enthusiast for the job which we've seen at home and although she had a little bit of a wander about when she hit the front she ran out a cosy winner. "These homebreds are giving all of us a lot of fun and I expect her to go on from here. I'm not sure how good she can be - her mother won on the all-weather over the extended mile but Sixties has done his usual job and we have a fun filly on our hands. "The mare Inffiraaj has a Bungle Inthejungle colt at Norman Court (Above) so everything is positive." 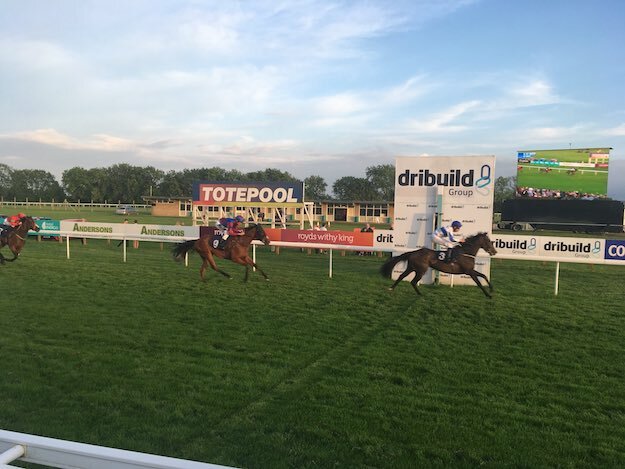 Finally, on Friday evening our love affair with Bath continued as the Guest Family's CHARMING GUEST continued her rise through the ranks by taking the Class 5 fillies' novice stakes over the extended five furlongs under Charlie Bishop. As we've said before, CHARMING GUEST's two year old campaign was a write off through injury so she feels very much like a new horse, with the start of her three year old campaign beginning back in April. Her win that day showed that she retained all of the ability that she'd shown in her juvenile season and she put in a solid showing to finish third under a penalty at Doncaster next time up. 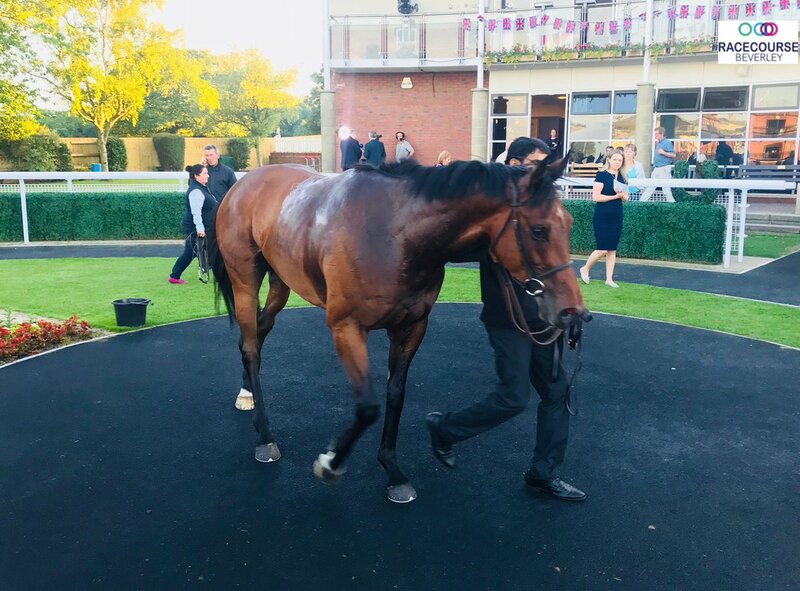 She simply never got into affairs in Class 3 company at York on her third start of the year but put that to bed on Friday as Charlie had her well placed throughout. She picked the leaders up convincingly inside the distance to record victory by an extending two and a quarter lengths. There's still plenty more to come as the Boss explains. "We'll see where we go from here. She never got into matters at York but she'll have to step back into handicap company now. She's probably going to be better than her current mark of 75 for that so there will be no hiding places once the handicapper intervenes but I'm not too bothered because she has a great attitude and that will do her confidence the world of good."